The 18-year-old resident of the Shetland Islands has been granted bail and is scheduled to appear in a U.K. court on Aug. 30. LulzSec and Anonymous encourage people to dump their PayPal accounts. Meanwhile, a member is arrested by Scotland Yard. Nestled within its final document release was a big folder full of malware — trojans and worms and all sorts of nasty things. Also, LulzSec isn’t gone. Members just teamed up formally with Anonymous. Now that it has disbanded, what to make of the legacy of the infamous hacking group LulzSec? Its primary skill seemed to be for self-promotion more than anything else. On its 50th day of activity, the hacking group LulzSec calls it quits, but not before dropping one more collection of hacker booty. Why quit now? Probably because the heat is on. The documents dumped to BitTorrent by LulzSec contain the names and home addresses of eight Arizona State cops. Officials there are worried that the release endangers the safety of its officers. LulzSec dumps a load of documents belonging to the Arizona Department of Public Safety. Apparently they don’t like a controversial immigration law there. Also, the group has yet another rival gang that aims to bring them down. Scotland Yard’s arrest of a 19-year old on computer crime charges has some wondering if the infamous LulzSec hacking troupe — which has attacked entities as varied as Sony, Nintendo and the CIA — is about to be broken. The group itself doesn’t sound worried. 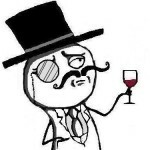 Update: Now LulzSec has acknowledged a tie to the person arrested. If you had been wondering if the strange world of the LulzSec hacking troupe could get any stranger after its numerous flagrant attacks against gaming companies and government agencies, it did just that over the weekend. When its computers get hacked, this time Next Media Animation might regret going too far — it always goes too far, by the way — in this CGI news animation of the tech-raiding gang, LulzSec. Extended its “lulz” to the U.S. Central Intelligence Agency, the LulzSec group appears to have hobbled the agency’s Web site with a denial of service attack. The LulzSec hacking group, a day after posting files pilfered from gaming company Bethesda Softworks and the U.S. Senate, turned its attention to Eve Online and other gaming sites today with a denial-of-service attack. No hilarity ensued. Making good on a threat made earlier in the day, LulzSec released a file taken from a gaming company — notably minus the user names and passwords of its customers. It also showed some evidence that it had penetrated Web servers belonging to the U.S. Senate. If it’s true that there’s really no such thing as bad publicity, Cloudflare, a Web security startup, is proving it by having been selected by the LulzSec troupe of hackers to help protect its Web site. As product endorsements go, it’s an odd one, but the outfit is seeing a spike in sign-ups from the buzz. Who says? Why, LulzSec does, of course. But so does the FBI, which says it has no information about the arrest claimed on a security mailing list this morning. The hacker group posts source code taken from — you guess it — another Sony site. Meanwhile there’s a claim — as yet unconfirmed — that a member of the group is in FBI custody. Nintendo said Sunday that a server for its U.S. unit’s Web site had been hacked into but that no company or customer information was compromised, marking the first time the Japanese gaming giant has been targeted in widespread global hacking attacks. The hacker group LulzSec, which has recently been harassing Sony, on Friday posted a file it said was taken from one of Nintendo’s servers. A Florida publishing firm says those iOS device IDs that hacker group AntiSec claimed to have stolen from the FBI were actually swiped from its servers. The company says that if the FBI has iPhone and iPad UDIDs — as claimed by a hacker group and denied by the agency — it didn’t get them from Apple.